Apollo Cradle had the best reviews but I was not sure of admitting there. But if I would not have admitted there I would have been regretted. The best doctors and services are the qualities of Apollo Cradle. Special thanks to Dr. Suneeta. We picked Apollo Cradle, Kondapur for my delivery under Dr Suneetha Gudipati and I can say I am satisfied with the services provided by the hospital. The staff, infrastructure, facilities, are all great. The room and washroom were well-maintained and had all the basic amenities. I felt really comfortable during my stay here and faced no issues as such. Good work, Apollo! My experience at Apollo Cradle, Kondapur was excellent. Dr Sunitha Gudipati treats the patients with great respect and are very kind. They look after all your needs. Hygiene is well-maintained. The rooms and washrooms are clean and well equipped. The admission and discharge services are quick and hassle free! I’d recommend it to my relatives. Apollo Cradle, Kondapur is one great hospital with great infrastructure. Apollo provides good facilities and you made to feel at ease during your stay here. Dr Suneetha Gudipati is courteous and caters to all your needs. The doctors address your issues and queries at all times and give you the best advice. I’d surely recommend Apollo to my friends and family. I am a repeated patient at Apollo Cradle, Kondapur and as always, I found the services here to be excellent. 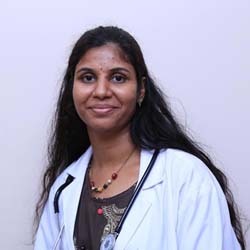 Dr Suneetha is very knowledgeable and addressed all our queries very well. The staff is equally good. The housekeeping staff ensures proper cleaning of the space. The nurses are very responsive and soft-spoken. I would surely recommend Apollo Cradle to my friends and family. It wasn’t my first time at Apollo Cradle, Kondapur and as usual, I have nothing except for praise for Apollo and Dr Suneetha. This hospital makes you feel like you are at home. I love the cleanliness here. Also, the staff here is well-trained and very well-behaved. They realize their duties well and cater to all your needs. I would certainly recommend Apollo to others.